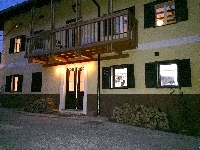 Welcome to our selection of holiday homes to rent in Slovenia. Slovenia is to the North East of the Adriatic Sea bordering Italy to the West with adjoing neighbours of Croatia to the South and East, Austria to the North and Hungary to the North East. With both the Alps and the Mediterranean Croatia is a country full of diversity and plenty for the tourist. Amongst the many attractions of Slovenia is Lake Bled situated in the foothills of the Julian Alps. Having a large range of outdoor activities in both summer and winter it makes an ideal location for the enthusiastic sportsman or those in search of a relaxing holiday in magnificent scenery. Wooded slopes surround the lake with Bled Castle dominating the North shore and a selection of villas and apartments dotted around the rest of the shoreline. The Slovene Coast stretches for around 50 kilometers between Italy and Croatia and has four main coastal resorts Piran, Portoroz, Koper and Isola. This incredibly beautiful coastline is full of unspoilt natural beaches and coves together with tourist attractions such as the Strunjan Cliff towering 80 meters above the sea. The Postojna Cave is a network of underground passages stretching for 20 kilometers and has a train for tourists to see the incredible galleries and chambers with their glistening stalactite, stalagmite and calcite formations. 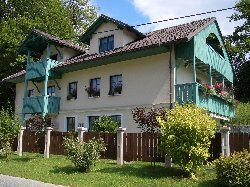 Looking for self catering holiday accommodation in Slovenia? Then below is a selection of holiday villas in Slovenia and holiday apartments in Slovenia that can be rented direct from their owners. You can either click on each listing for further details or you can use our search engine on the left if you are looking for something in particular.